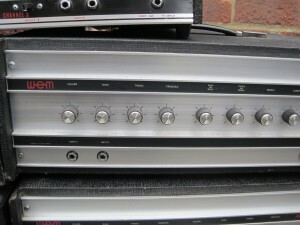 You can hopefully see from the pics what controls there are on each amp. 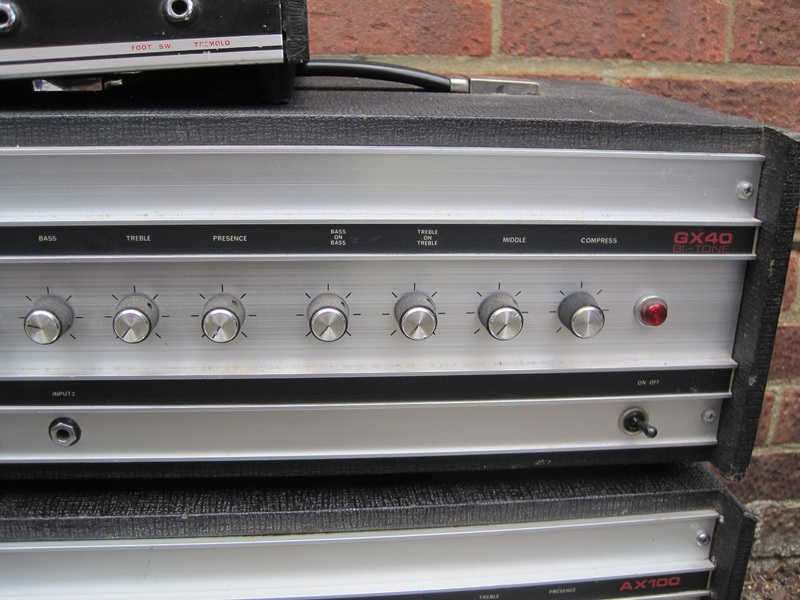 I also have an AX40 which is not pictured but it is identical to the AX100 apart from having the smaller 40 watt power amp stage. 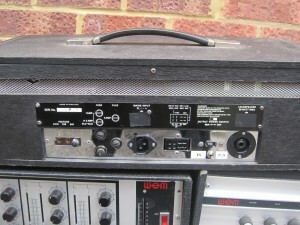 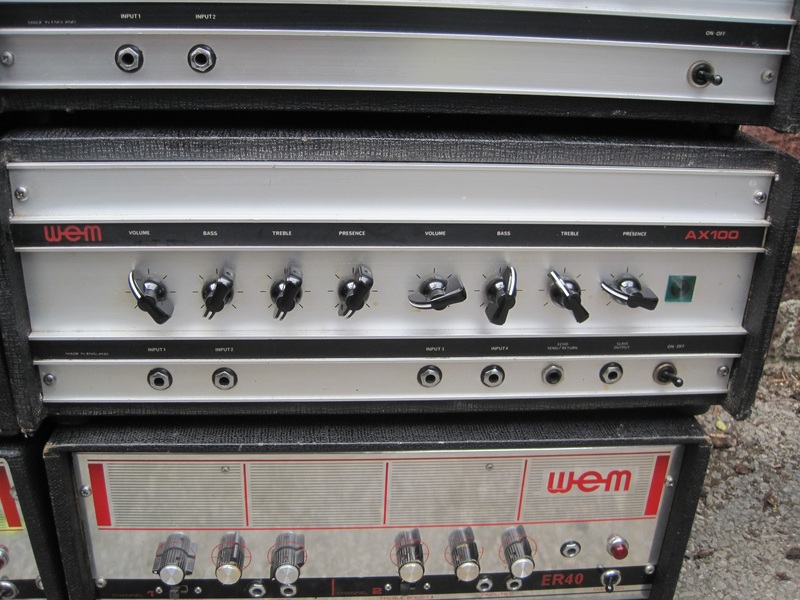 Apart from the GR60, the amps use identical 100 watt and 40 watt power amp stages. 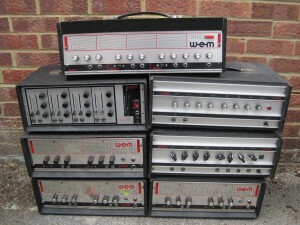 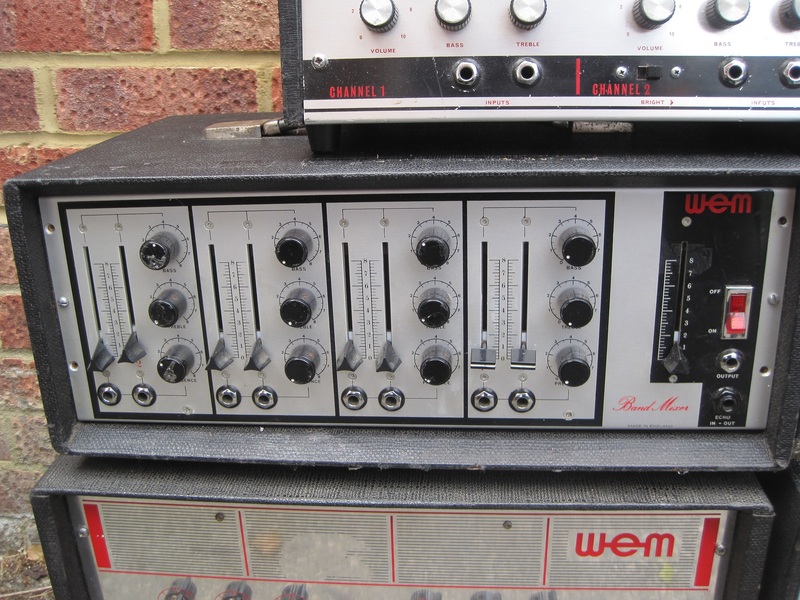 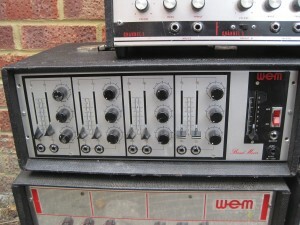 The ER40 is exactly the same as the PA 40 and likewise the ER100 and PA100. 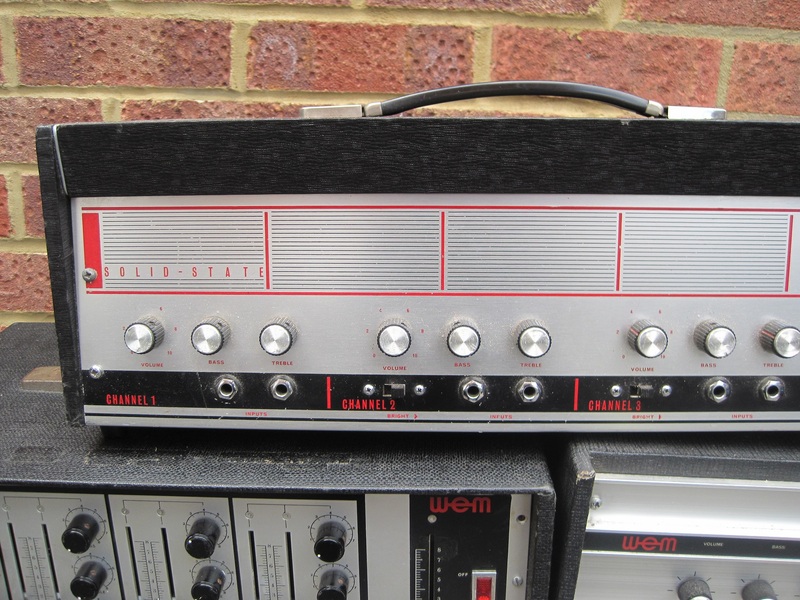 The only difference is the lettering on the front – which makes it very strange that the ER range seem to be more highly sought after than the PA range. 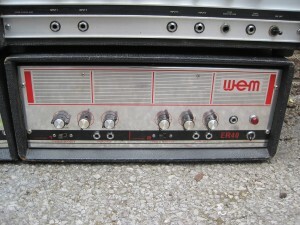 A lot of the amps have 3 speaker sockets labelled as 12 ohms, 12 ohms and 6 ohms respectively. In actual fact, all 3 sockets are wired in parallel so it makes no difference which of the 3 sockets is used as long as the total impedance of the connected speakers is somewhere around 6-8 ohms. 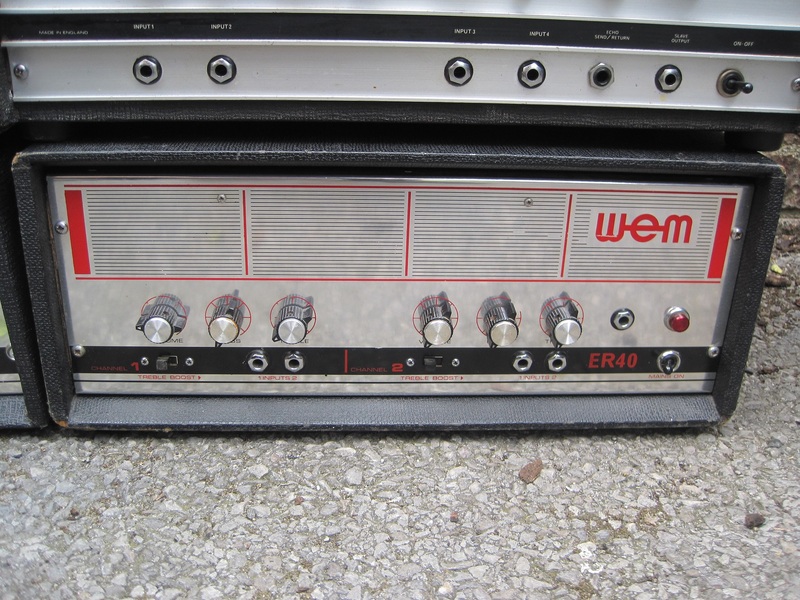 All the amps are solid state. 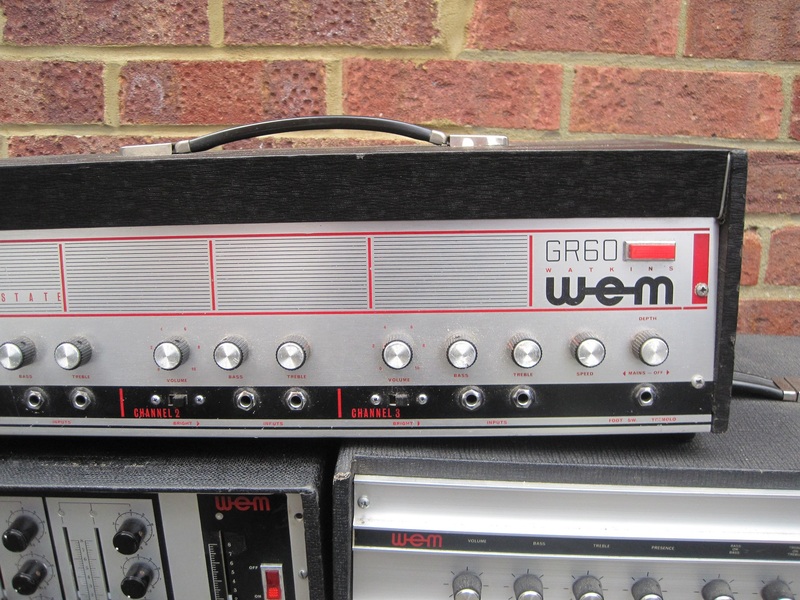 The GR60 has a nice tremelo but no reverb. 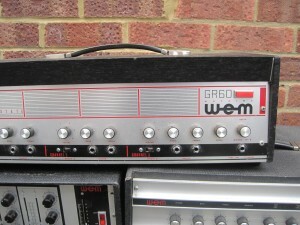 The GR60 also has different output connections and an output power switch. 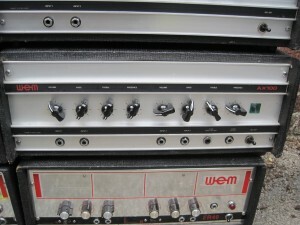 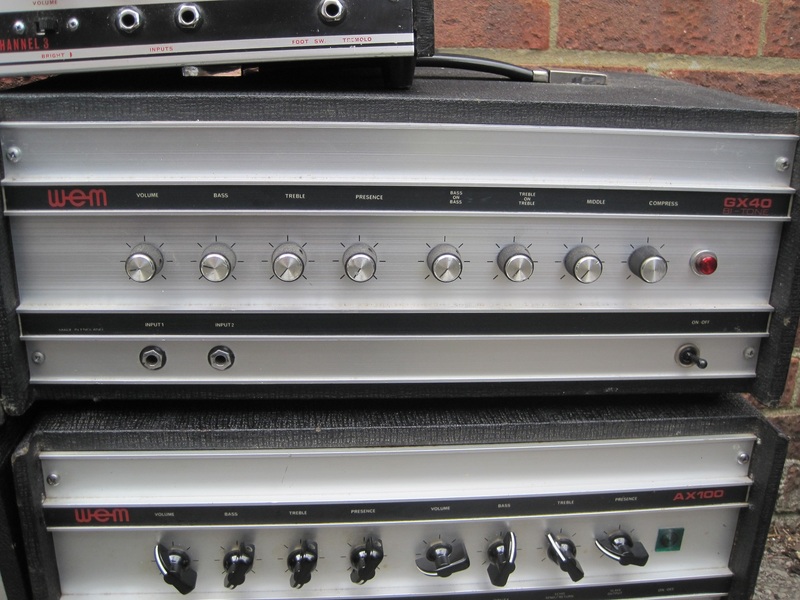 I think these differences date this amp to the late 1960s. The GX40 may have been intended more for bass as it has a compression control plus bass-on-bass and treble-on-treble controls to give extra boost if needed. 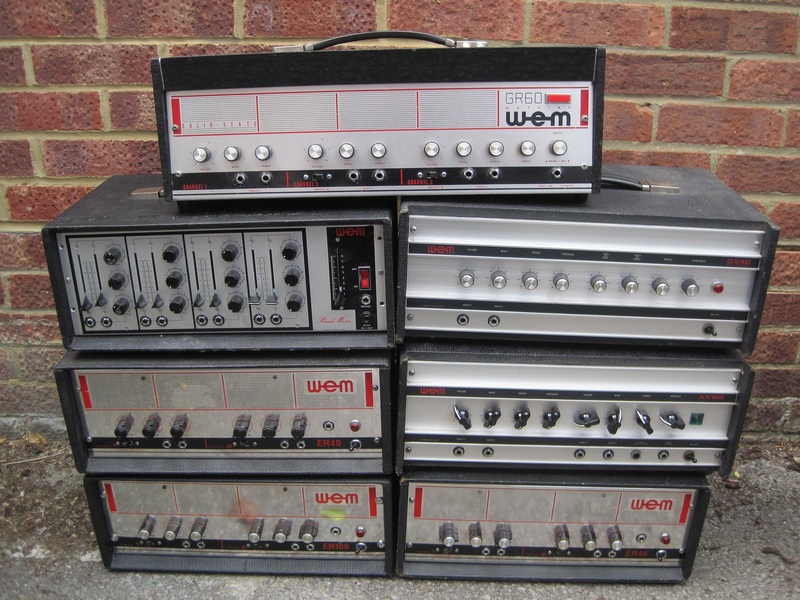 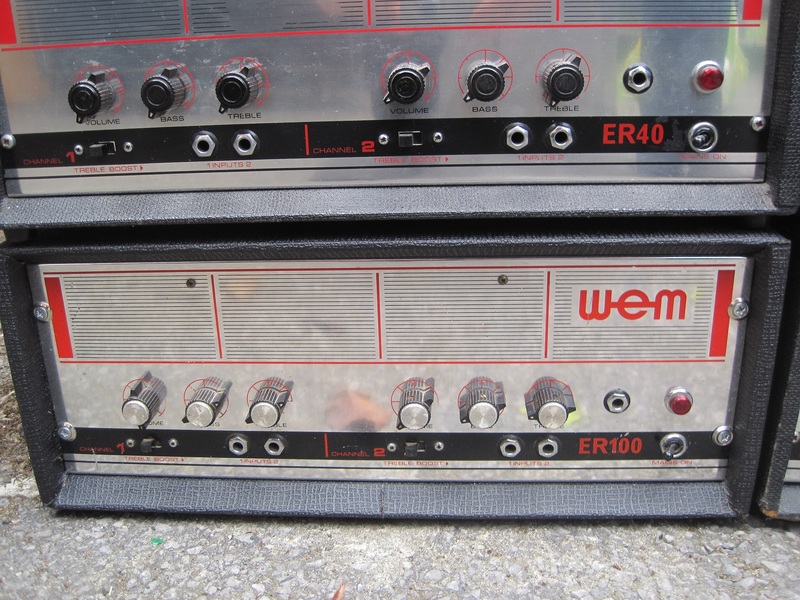 The ER40/ER100/PA40/PA100 were about as basic as you could get and the pre-amp sections on all of them are virtually identical. 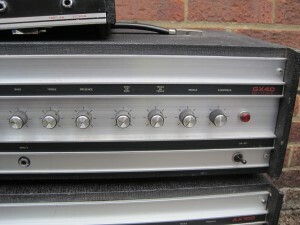 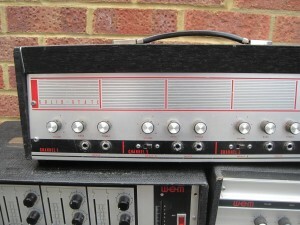 Some, but not all, did have an extra socket on the front for slave output and this could also be used for power amp input as it is just a tapping between the pre-amp and power amp sections. 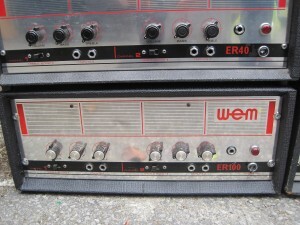 There is more specific info on the ER40 and ER100 here – ER40/ER100.